Like other airports, Cincinnati/Northern Kentucky International (CVG) in Hebron, KY, is in the people transport business; but it’s also in the business of moving stuff. And the “stuff side” of the business is doing quite well. In fact, CVG is the fastest-growing cargo airport in the United States. It’s also the eighth largest cargo airport in the country, and the 34th largest in the world. For the first time in its history, CVG handled more than 1 million tons (2 billion pounds) of cargo last year—a 27% increase over 2016. That’s nearly four times the North American average growth rate of 7%. 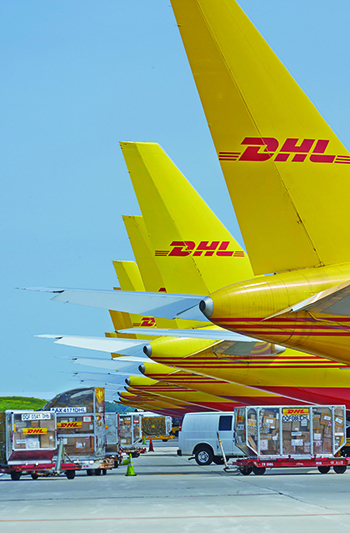 Fueled by increased business from longtime tenant and global shipping giant DHL, the airport surpassed its previous record for cargo volume in a single month last December, handling 109,380 tons—a 34% increase over December 2016. Things are only going to get busier for CVG Chief Executive Officer Candace McGraw and her management team. 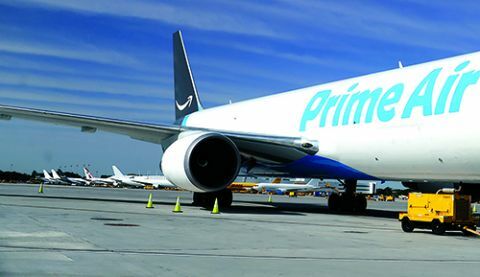 In January 2017, Amazon announced it will build a $1.4 billion hub to support its growing Prime Air cargo fleet. The facility will be Amazon’s largest hub in the world, with a fleet of more than 100 cargo planes and 2,700 new local jobs. The company signed a 50-year lease for 900 acres of airport land to house it. With plans for its new facility still on the drawing board, Amazon began operating at CVG in May by striking an agreement with DHL to use its facilities during the day, when they previously sat dormant. DHL operates about 55 daily flights that arrive at night and depart before 9 a.m. At full capacity, Amazon aircraft will log more than 200 daily takeoffs and landings. As of July, a completion date for Amazon’s new freight hub had not been announced; but McGraw told local media that the company would like to get shovels in the ground as soon as possible. The airport’s central location for North American shipping makes it extremely attractive to DHL, Amazon and other freight operators. McGraw emphasizes that location is not the only feature bringing so much cargo business to CVG. When Amazon announced its decision to locate at CVG, the company’s senior vice president of worldwide operations cited the area’s “large, skilled workforce; centralized location with great connectivity to nearby fulfillment locations; and excellent quality of living for employees” as important factors. 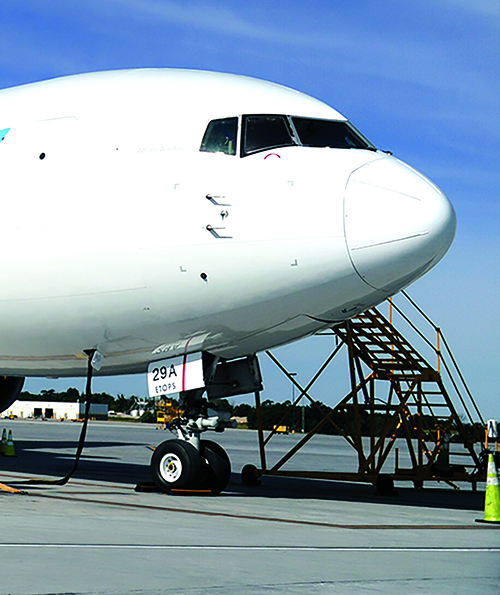 Although cargo growth is occurring rapidly at CVG, it’s been a long time in the making. McGraw notes that her team began conducting due diligence several years ago on the best uses for available airport land. Environmental issues, height restrictions, capacity for utility services and other factors were assessed on a proactive basis. Having ample runway infrastructure already in place was another important advantage to securing a gem tenant like Amazon. CVG has three parallel runways (8,000, 10,000 and 11,000 feet) that can operate independently and simultaneously, plus a 12,000-foot crosswind runway. McGraw notes that the recent growth at CVG comes at relatively minimum expense to the airport itself. Amazon is investing $1.4 billion to build its new hub on 900 acres it is leasing from the airport. 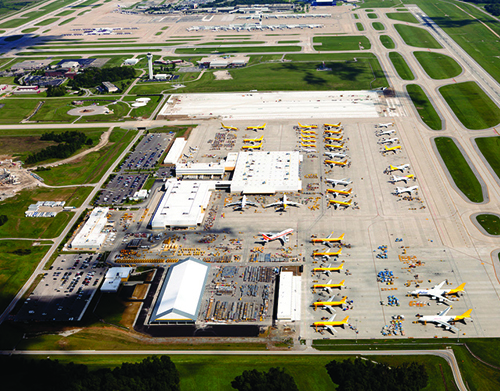 Since 2009, DHL has invested about $280 million in new construction and improvements to its facilities and equipment at the airport. Its hub at CVG is the company’s second largest; an expansive operation in Leipzig, Germany, is the biggest. When DHL announced plans for a $108 million expansion at its CVG facility in 2015, the Kentucky Economic Development Finance Authority approved tax incentives of up to $1 million for the company. More recently, the same board approved up to $40 million in incentives to help lure Amazon to the region. The airport agreed to $5 million in unspecified capital improvements as part of the Amazon deal. Investments may include road improvements or utility upgrades for water runoff—projects that will benefit all airport tenants, notes McGraw. In addition, CVG plans to demolish an old FedEx hangar to build a cargo hangar that will be used by cargo carriers other than Amazon and DHL.